In 2013, I was surprised and honoured to be announced the winner of the annual Whitmore Press Manuscript Prize. 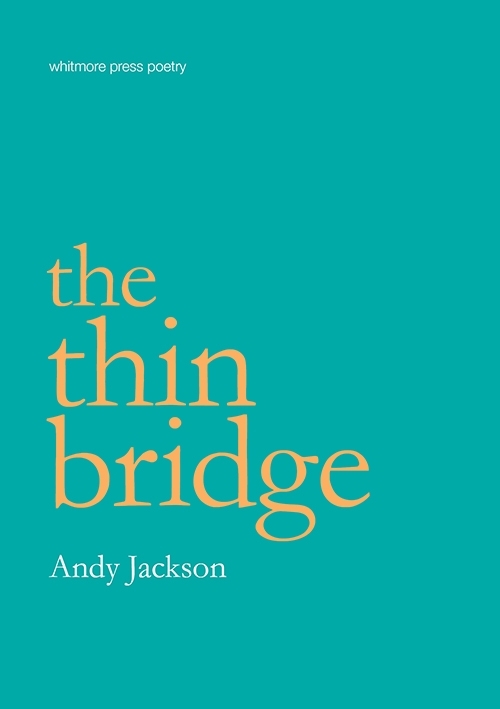 This coming Friday September 5th, the resulting collection – “the thin bridge” – will be officially launched. If you’re in Melbourne, please come along to Collected Works Bookshop, Nicholas Building, 1st floor, 37 Swanston Street – arrive at 6pm for a 6.30pm start. Prof Kevin Brophy will do the honours of breaking the literary bottle against the hull of these poems (UPDATE – Kevin’s insightful and wry launch speech is now available on the brilliant ecopoetics site Plumwood Mountain). If you can’t make it, copies of the book are available from the publisher (note there are only 200 copies, each one signed and numbered).